1. Owning your own home is a freeing experience. Unlike renting, homeowners have complete freedom to paint and remodel their homes as they please. They also have the option to welcome furry friends into their home that may not be rental-friendly. 2. Real estate is an investment. When you rent a home, you pay a monthly sum to live in that space, and that money is gone. By contrast, when you invest in a home, although you're investing a large sum of money upfront, you'll likely end up earning money when it comes time to sell and the value of your house has appreciated. 3. For many buyers, a mortgage is a necessary step in buying a home. However, this isn't all bad. In many cases, mortgage interest and home equity loans are deductible when you calculate your income tax. This is also true of property taxes, assuming this is your first or second home. 4. For many buyers, it is ultimately the peace of mind that drives them to purchase their Santa Cruz home. When you purchase a home, you can rest assured that your home is your own and your housing situation won't be linked to a landlord who may one day decide to sell. Once you've made the decision to purchase a home for sale in Santa Cruz, your first step should be contacting an experienced Santa Cruz real estate agent. Many first-time buyers are under the impression that working with a real estate agent will cost them money, however, this isn't typically the case. A good real estate agent will not only save you money, they will ensure that you have all of the information about the area and the real estate market to make wise, informed decisions about how you invest your money. Try to get very specific about your needs and preferences. You can always expand your search if necessary, but it is important to give your Santa Cruz real estate agent a clear picture of your ideal property. What style home do you like? When do you want to occupy? What is the most important to you in a home? If we found the right home for you today, is there any reason that could keep you from buying it? Does anyone else have to approve of your purchase? For more help organizing your priorities, explore our Want/Wish list. There are a lot of agents available and willing to help you with your home purchase. To make a solid case for allowing me to assist you, I provide a higher-level of services both before and after the sale. I want you to consider me as your real estate professional for life, this is just the beginning of our relationship. My goals are to exceed your expectations and that you would refer all your friends who may be looking to buy or sell a home. See my resume. As a member of the Multiple Listing Service®, I can show you any Santa Cruz home for sale no matter which real estate firm it is listed with. If you should see an ad in the paper or a sign in a yard, contact me to find out the information. If you want to see it, I'll show it to you. Many times a homeowner will work with an agent, even though the home is not listed with a real estate broker. With a Buyer Broker Agreement, I can represent you even though the seller is selling it himself. A homeowner trying to sell his home himself is usually doing so in hopes of saving the commission. If you want to see a home offered by the owner, please let me contact the owner and set the appointment. Most builders are more than willing to work with agents who accompany the buyer to the property on the initial visit and can get all the information you need to make any decisions. By working through me with builders, you get all the services offered by me in addition to those offered by the builder. You'll get more, but won't pay more for it. Having been a Santa Cruz County resident for over 36 years, I'm intimately familiar with every neighborhood, beach, school district and shopping spot from Boulder Creek to North Monterey County. That has equipped me in my 19 years as a real estate professional to understand the community and its diversity. I'll look for what you want and can afford in an area you want to live. I'll show you all the homes that are available not just the ones that I have listed. I will look for homes that are not yet on the market. Every buyer needs basic financial information to make a good buying decision. You'll know that you qualify for the home and what the payments and the closing costs will be. I'll also make additional suggestions like making extra principal contributions with your regular payment and suggest an alternative type of mortgage to allow for the least expensive cost of housing. I'll work hard to find your new home. I understand that finding a home is a priority. I'll screen and preview homes so as to not waste your time and when I find one that I feel will meet your needs, I'll show it to you as quickly as possible. My attention to detail, my negotiating skills, my clear communication and enthusiastic nature are why so many of my clients are pleased with their transactions. And I think many of them learn a great deal, not just about real estate, but about themselves, in the process. The Santa Cruz real estate market changes rapidly as each season passes. Whether you've never set foot in Santa Cruz before, or you've lived there your whole live, you'll benefit from working with a real estate professional on your home purchase. In our initial meeting, you'll give me a sense of your real estate goals, your budget, and your expectations. 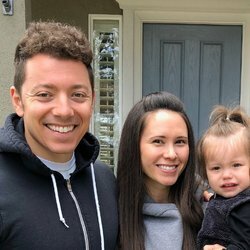 Using the information you've given me, I will use my local knowledge and real estate expertise to help you find houses that meet your unique specifications. One of the best ways to make yourself appealing to sellers and to expedite the home buying process is to get pre-approved for a mortgage. While not every buyer will need a mortgage, the majority do, and it's important that you find out how much you would be approved for before you start your home search. This will not only help you establish a budget from the onset, it will also ensure that when the time comes for you to make an offer, you'll have the financial backing in place to make you a viable candidate in the eyes of the home seller. Once you've found the Santa Cruz home for sale you want to purchase, I will help you put together a fair offer. Santa Cruz is a competitive market, and if there are competing bids, I will work with you and your budget to help you purchase the home. A home purchase is exciting, but it's still important to do your due diligence and make sure that your investment is sound. A home inspection is an important stage of a home purchase. In the event that an inspector uncovers water damage, poor electrical work, or pest infestations, these factors could greatly impact both the value and safety of the home. Before signing final papers, it's important to know exactly what you're getting in to. I will be happy to supply a list of recommended inspectors. You are encouraged to accompany the inspector to ask questions and receive a written report itemizing any areas of concern. Closing contracts aren't always simple. They outline the exact terms between buyer and seller as the ownership of the house shifts from one party to the other. There are often several closing fees associated with this process and it can be beneficial to have your real estate agent review the papers before you sign them. 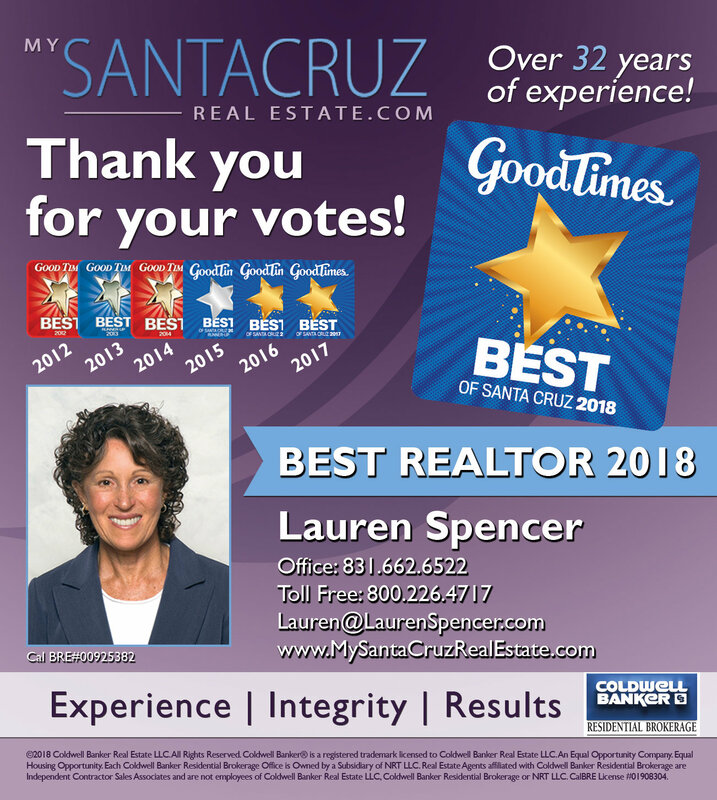 For more information about the home buying process, or to learn more about working with an experience Santa Cruz real estate agent, contact Lauren Spencer today.